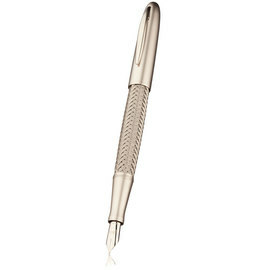 All of the Porsche Design fountain pens feature 18-carat gold nibs for the ultimate writing experience. Designed by the porsche design team and made in Germany, the elegance of these writing tools accurately reflects their automotive origins in it's practical simplicity. Porsche pens exhibit the flair and attention to detail of the Porsche marque.